At age 32, Jason Hernandez received a diagnosis of end-stage, metastatic colon cancer. 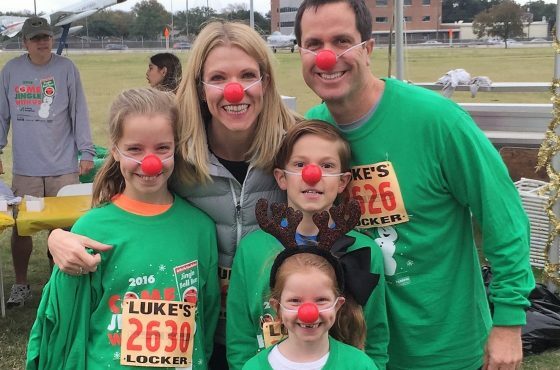 His wife, Cecilia, and their three daughters, Marisa (13), Ariela (9) and Isla (4) started receiving support at Wonders & Worries’ Georgetown office in August 2017 to help the family come to terms with Jason’s cancer. An avid Houston Astros fan, Jason talked often about his desire to watch the Astros play in as many stadiums as possible. 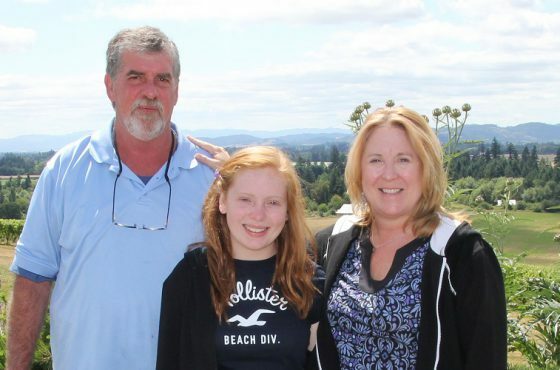 With his diagnosis, Jason considered his baseball cheering days over. 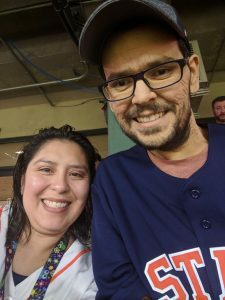 But through the advocacy of Kelly Theesfeld at Wonders & Worries, and friends at Without Regrets Foundation, Jason experienced the ultimate Astros fan moment. 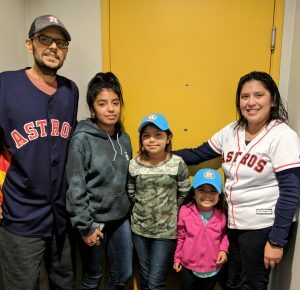 In October 2017, Jason, Cecilia, and their three daughters traveled to Houston and watched the Astros play – and win! – a World Series home game. It was a moment that couldn’t have come at a better time, creating memories the family will treasure. Jason Hernandez died on Saturday, November 25, 2017 at home with his family. His wife, Cecilia, is convinced that his team in the World Series and looking forward to seeing a live game is what kept him fighting for as long as he did. 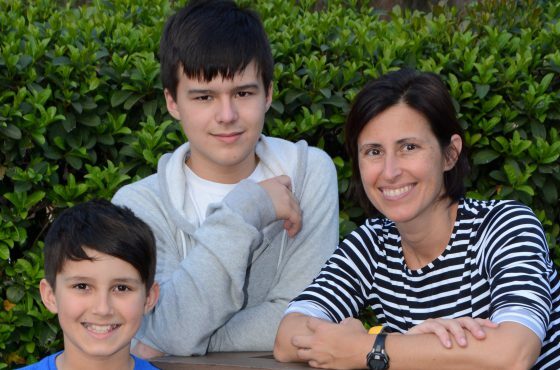 “I am so very grateful for our last great adventure, made possible through Wonders & Worries and Without Regrets,” said Cecilia.